049) How to Instantly Have More LOVE! Love and connection fuels us to feel secure, happy, adventurous, and fulfilled. And we cut the life line to all of that when we aren’t receiving the love and connection that is already available to us! 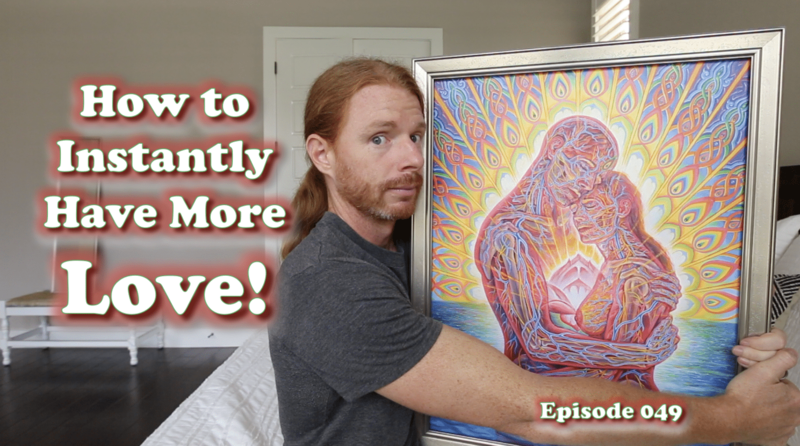 After I stop hugging this Alex Grey painting, I share with you a black belt ninja way to eliminate a hidden love and connection constipator that exists inside everyone, so you can instantly have more love, security, happiness, and adventure in your life!